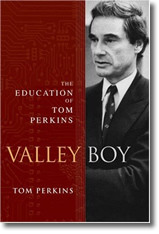 Valley Boy: The Education of Tom Perkins by Tom Perkins. Gotham Book, 2007. Tom Perkins was a self described electrical engineering nerd at MIT. 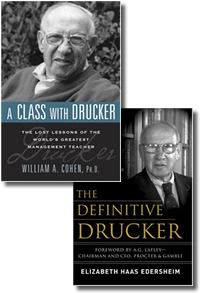 He later found his calling at Harvard B-School when he discovered his instinct for business and also spent more time with wine glasses than transistors. Although Perkins became an extremely successful venture capitalist, don’t look to Perkins for a formula, rules, and secrets to success. Rather, he takes you on a personal journey to his success through chapters of his life. Although Perkins has a passion for toys owning a submarine, the largest privately owned sailboat, and fast and vintage cars, it’s his passions for life and learning that he credits to his outside the box success. In this selective autobiography, he shares his experiences as a biotech executive, a board member of Hewlett-Packard and the ousting of Carly Fiorina, his trial for manslaughter in France, and forming the Silicon Valley VC firm Kleiner & Perkins that pioneered genetically engineered drugs and ultimately the biotech industry. Perhaps his most surprising teacher was Danielle Steel with whom he had a brief marriage. Subsequently, he also wrote a novel based on his life. For the real story, he could have easily chosen a more businessy title such as “What I didn’t Learn at Harvard B-School.” She has also influenced Valley Boy, as his style for sharing life’s lessons and creating your own opportunities makes this book read more like an entertaining novel than an autobiography. Guest reviewer Randy Mayes is a Duke Alumni, author, science writer, and science policy analyst. © Randall Mayes and Ford Library – Fuqua School of Business. All rights reserved.